Does the name Suzy Q sound more familiar to you than Cardi B? This entry was posted in Uncategorized on February 10, 2019 by Rich Lee. The government shutdown has ended. So too has the uncertainty remains over when the president will deliver the 2019 State of the Union address. This entry was posted in Uncategorized on February 5, 2019 by Rich Lee. Ten years ago today, Barack Obama’s took the oath of office and became the nation’s 44th president. Not only was it a historic day for America, it also turned out to be one of the most unusual days of my career. On the morning of the inauguration, I was home with plans to watch the ceremony on TV. For me, the big story had been the historic 2008 presidential campaign and election. The inauguration was just a ceremony – more pageantry than news. This entry was posted in Uncategorized on January 20, 2019 by Rich Lee. Rock ’n ’roll is old enough to have its share of Christmas classics. You know it’s the holiday season once you start hearing John and Yoko’s “Happy Xmas (War is Over),” Springsteen’s “Santa Claus is Coming to Town” and any of the tracks on Phil Spector’s classic Christmas album. This entry was posted in Uncategorized on December 24, 2018 by Rich Lee. Check election records from 1988, and the numbers will tell you that New Jersey voters re-elected Democrat Frank Lautenberg to the U.S. Senate by a comfortable margin of 8.4 percentage points. This entry was posted in Uncategorized on November 12, 2018 by Rich Lee. Warren Zevon’s “Werewolvesof London” always gets a play when I do a Halloween show on WSBU-FM 88.3 the Buzz. This entry was posted in Uncategorized on October 28, 2018 by Rich Lee. I am resuming my weekly radio show today with an hour of music devoted to the Grateful Dead. 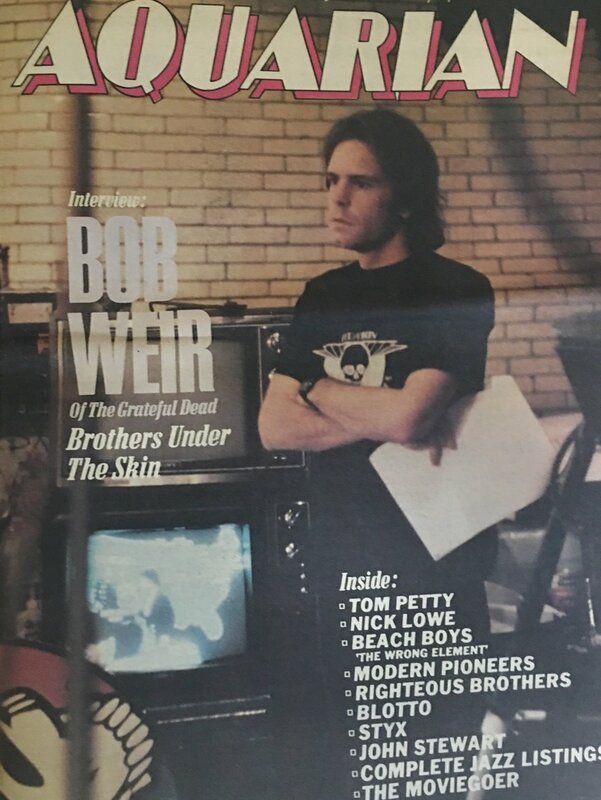 As I announced in September, each one of my radio shows this semester will focus on a different recording artist I had the privilege of interviewing while I covered rock’n’roll in the early 1980s. So along with the music, today’s show will include stories about my conversations with Jerry Garcia and Bob Weir, as well as other personal recollections about the band. The show airs today from 3 to 4 p.m. on WSBU-FM and is streamed online at http://player.listenlive.co/37351. This entry was posted in Uncategorized on October 25, 2018 by Rich Lee.